Mamoru Hosoda is riding high with the release of Mirai in Japanese cinemas and I think it would be fair to say that his career has been full of hits that mix the fantastical with the mundane much in the way some Ghibli films do. 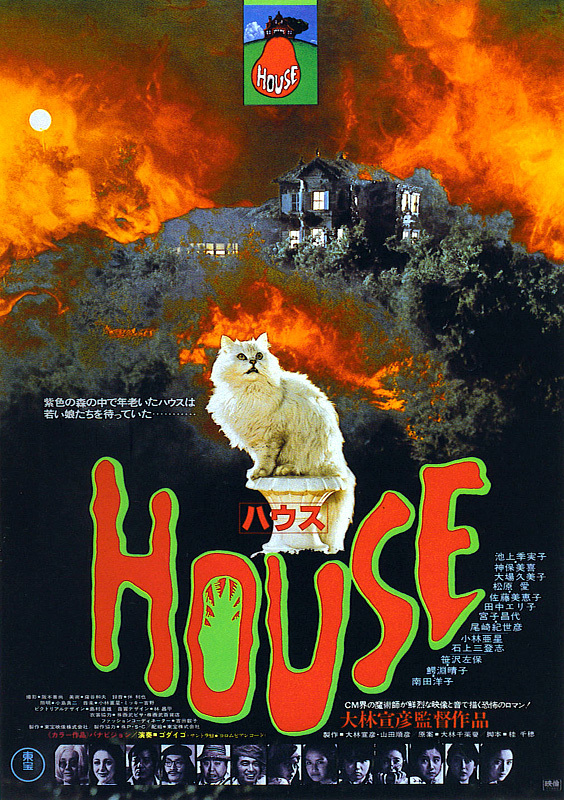 This particular title is set in Ueda in Nagano Prefecture which is close to the director’s birthplace. It earned him the Japanese Academy Award for Animation of the Year in 2010. It’s a lot of fun. This film is just great. It features Beat Takeshi’s absurd sight-gags and edgy humour in what turns from a road movie featuring a mismatched pair to a heartfelt story of two people learning to face the issue that hampers their lives and causes them heartache. Here’s my review. Synopsis: It’s summer and little Masao (Yusuke Sekiguchi) has no one to play with. Soccer practice has been suspended and his friends are far away at the beach. Living alone with his grandmother, summer seems even less fun for this nine-year-old boy. With address and photo in hand, Masao decides to take off in search of the mother he’s never met. But with little money and even less sense of direction, Masao can’t go alone. A friend of his grandmother volunteers her husband Kikujiro (Takeshi Kitano) to accompany the boy on his quest. Kikujiro hardly seems an ideal companion for anyone, let alone for a boy as sensitive as the sullen Masao. Brash, loudmouthed and always on the lookout for easy money, the irresponsible Kikujiro doesn’t even appear to be overly fond of children but by the bittersweet trip’s end, both will have experienced heart-warming lessons and lots of adventures. 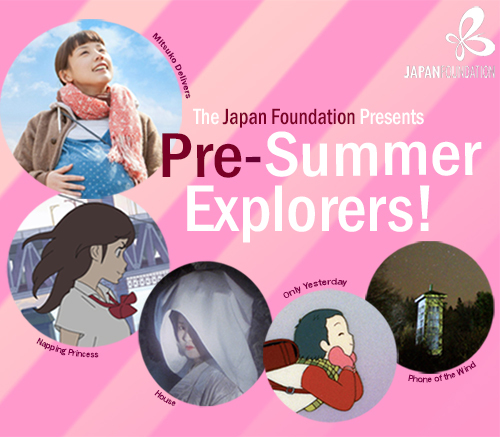 Synopsis: A 27 year old office worker, Taeko Okajima (Miki Imai), leaves the city for her first extended trip outside of Tokyo. Visiting her sister in rural Yamagata, she daydreams about her younger self and is forced to reflect on her hectic life when she meets a handsome young farmer. Production I.G has been the creative home to director Kenji Kamiyama and he directed the TV anime Eden of the East, Ghost in the Shell: Stand Alone Complex, and Moribito – Guardian of the Spirit. Napping Princess is an original anime from Kamiya and it was produced by Signal.MD. a subsidiary studio of Production I.G. The film was made as a response to a question Kamiyama had for himself: could he make a film for his teenage daughter. The result is an always beautiful film which is fun adventure that soon becomes a mess as it mishandles the switches between dream and reality and the lines become so blurred and the narrative goes awry. Stay during the credits for a heartbreaking sequence. I personally wanted more from the narrative, especially the issue surrounding the baby’s complex parentage but that’s just me. Other reviewers like this a lot. Here’s my review. I think Yuya Ishii has come along brilliantly as a director after this film with The Great Passage and The Tokyo Night Sky Is Always the Densest Shade of Blue being two absorbing and detail/character rich dramas. 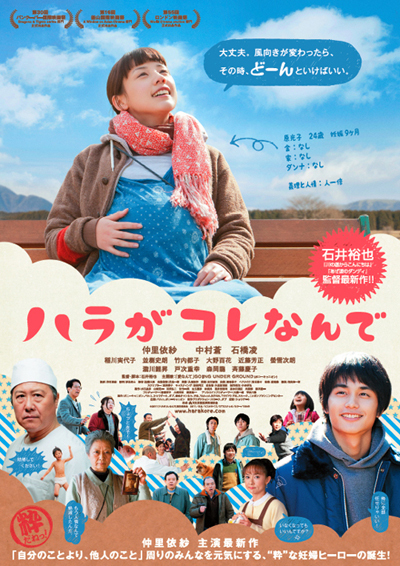 Synopsis: Mitsuko (Naka) is nine-months pregnant, broke and alone in Tokyo. Her parents (serial failed entrepeneurs) think that she’s in America with the baby’s GI father but she’s actually in dire straits as she is forced to move out of her apartment. Despite all of this she remains positive and believes that things will turn out alright. She doesn’t know where she will go but decides to hop into a taxi she cannot pay for and follows a cloud back to the ramshackle working-class alley where she grew up. This place is a relic from the past and it has had the life sucked out o it with the departure of many of its residents, but Mitsuko’s infectious get-up-and-go attitude soon compels the remaining locals to roll up their sleeves and restore the alley to its former glory. Mitsuko has so much to do and so little time before her baby arrives but she will find a new assertiveness and help those floundering around her.